Connie was in great form today(Sunday ) at Royal Troon. Connie shot an impressive 71 in the third round to finish in second place only three shots behind Annabell Dimmock (Wentworth). Very well done to our Ayrshire lass. Our very own Connie Jaffrey shot a fantastic 72 in the 2nd round of the Helen Holm and lies in joint 2nd place with a score of 146 (4 under). 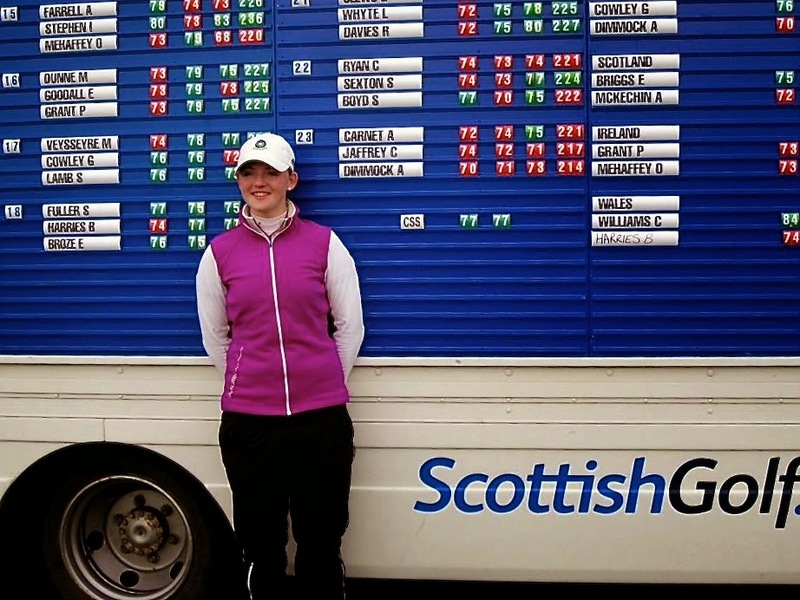 Connie will play over Royal Troon today, Sunday 27th and we wish her good luck in the final round. Top qualifier Linzi Allan (West Kilbride) defeated last years winner, Connie Jaffrey (Troon Ladies), on the 18th hole to win her first Ayrshire Ladies county title. The final was played over Glasgow Golf Club, Gailes Links in the best playing conditions of the week. It was a close game with the first 3 holes beihalved in pars. The first birdie came with a 2 from Connie at the short 6th where she went one ahead. The game was squared at the next with a par from Linzi who then went on to sink a 30 foot putt for birdie on the 9th to turn 1 up. Winning 2 of the next 5 holes Linzi was then 3 up and a half in 3's at the 15th left her dormie. Defending champion Connie then produced a par and a birdie to take the match to the 18th hole. Both girls were in the greenside bunker in 2 and made good recoveries but Linzi's par putt was good enough to secure the title. See ALCGA pictures at top of website for more photos. Sorry photos are distributed between 5 albums! Those that only display as small icons are in other albums. Some photos at the end of that album so check out! 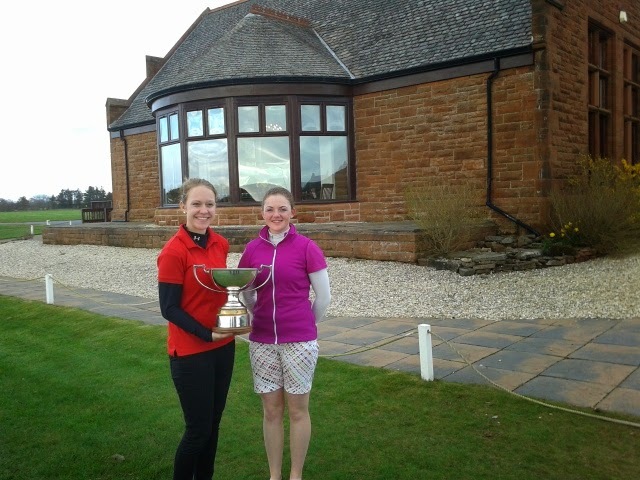 Lauren Gilbert (Largs) bt Jenny Linklater (Largs) 3 and 1. Alex Glennie (Kilmarnock Barassie) bt Sheila Adams (Loudoun) 4 and 2. Pauline Patrick (Irvine) bt Lesley Barker (Kilmarnock Barassie) 6 and 5. Jane Finnie (Troon Ladies) bt Sharon Lambie (Kilmarnock Barassie) 2 and 1. Debbie Watt (Ayr Belleisle) bt Alex Sargent (Skelmorlie) 2 and 1. Catherine Malcolm (Prestwick St Cuthbert) bt Rachel Irvine (Largs) 3 and 2. The draw for the championships matchplay is available under competitions. Two rounds will be played tomorrow. The final will be played on Thursday at 2pm at Glasgow Gailes with the prizegiving to follow. Please try to come along to support our players. To view our captain's newletter click here.